The volcano Anak Krakatoa meaning child of Krakatoa has triggered a deadly tsunami which has claimed the lives of 222 people. 843 have been injured and around 20 people have been reported missing authorities are expecting the death toll to rise. The disaster management agency has warned people to stay away from the coastline due to fears there could be another tsunami. 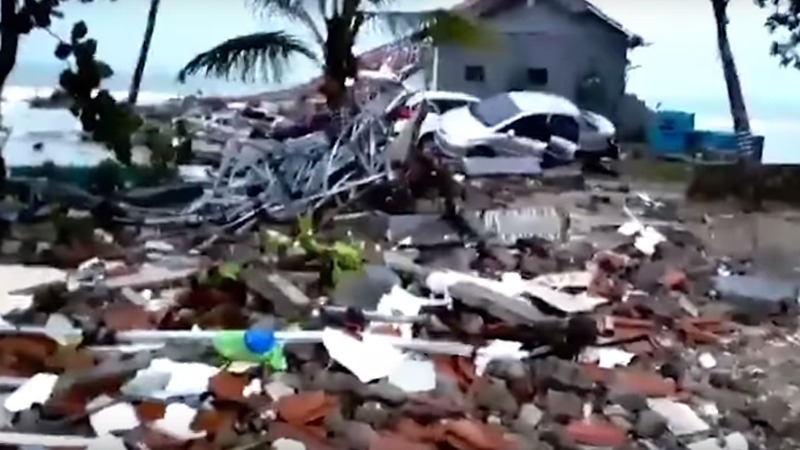 Local pop band seventeen were playing on Saturday night to a large crowd in a marquee at the Tanjung Lesung beach resort on the western tip of java when a wall of water hit the stage. A singer from the local group has said the bassist and the manager are dead with the drummer, guitarist and his wife are still missing. Next Story >BREAKING: Vaccine For Coeliacs Sufferers Could End Gluten-Free Diets.